Eén van mjn speciale vondsten was eeok een drinkbus met ingegraveerde naam "Joe Fasolka". Zonder stamnummer is dit een naald in een hooiberg maar gelukkig waren er maar zeer weining naamgenoten. Vrij snel kon ik de desbetreffende soldaat terugvinden en de nabestaanden verwittigen. Ze waren dan ook dolgelukkig met deze drinkbus van hun inmiddels overleden vader / grootvader. Een contactpersoon in Amerika, Norm Richards had me bij deze zoektocht geholpen. 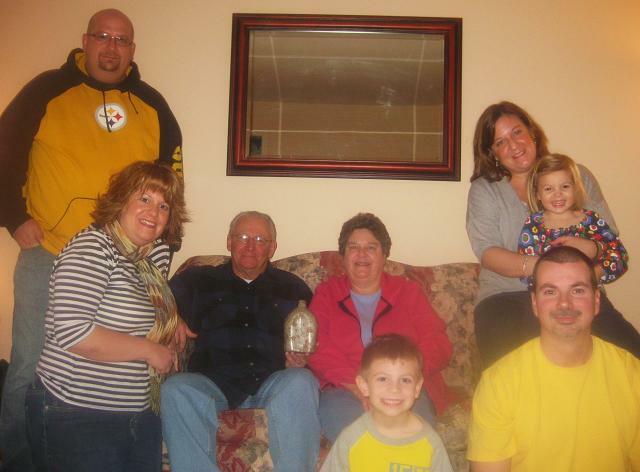 It has been 30 years since Joe Fasolka's father passed away. 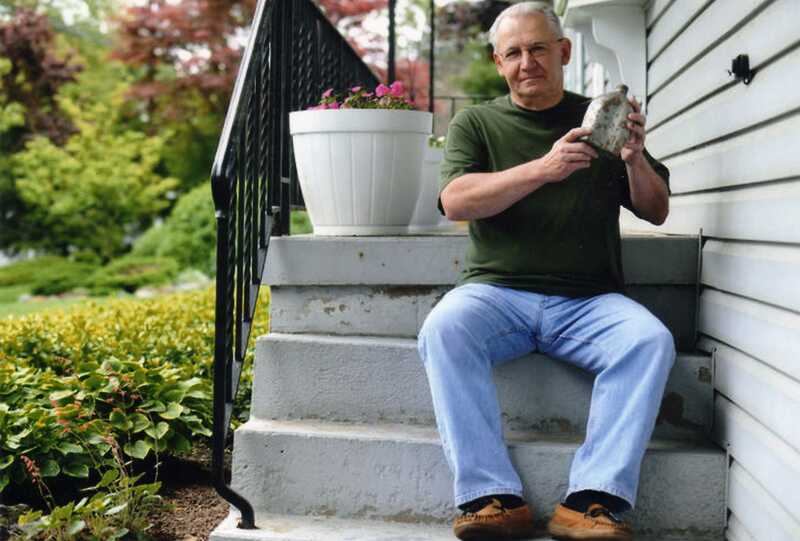 So when a stranger gave him a gift from his father's past, it unearthed memories for the Salisbury Township man. One evening last November, Fasolka, 66, and his wife, Marseline, were sitting at the dinner table in their home when they were interrupted by a phone call. Norm Richards of St. Louis was trying to reach Fasolka's father, who had the same name. Fasolka told Richards his father had died on June 7, 1981. 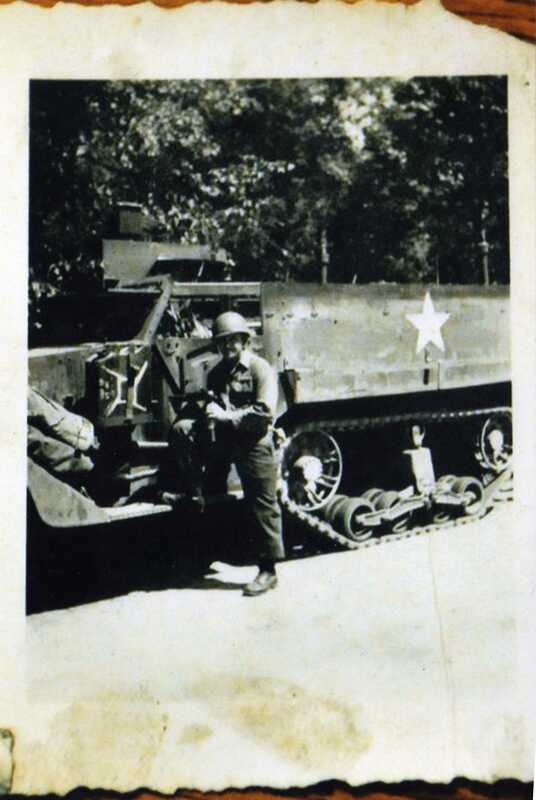 Richards then identified himself as a historian for the Army's 90th Infantry Division, in which Fasolka's father had served during his tour of duty during World War II. He told Fasolka that something had been found that might have belonged to his father, and that he needed to know his father's Army serial number. "I must admit, I thought it was some kind of scam," recalls Fasolka. "I figured next he was going to ask me to send $500." When Fasolka called him back with discharge papers in hand, the numbers matched. Richards then put him in touch with Gil Geerings, a 28-year-old man from Dessel, Belgium who studies the second World War and collects artifacts. Geerings and his friend found a pitted canteen that had once belonged to Fasolka's father while they were searching the site of a WWII battlefield in Tettingen, Germany, with metal detectors in hand. "I found the canteen in a foxhole at the edge of the woods," Geerings told Fasolka in an email. "It had a great view over the valley. I think it was a position for a machine gun because I also found some ammunition boxes. "The canteen was lying in the bottom of the foxhole with a lot of ammunition." It had been buried there for 66 years. Initially, Geerings saw no markings on the canteen. But, "when I cleaned it, I saw it right away," he says. The name "Joe Fasolka" was lightly scratched on the canteen's back. "It was common to write the name on your canteen, so I knew where to look," Geerings said in an email interview. "But, there was no serial number mentioned, so it would be practically impossible to find this soldier or his relatives." A personalized canteen is an incredible discovery for a WWII hobbyist. Geerings says he and his friend have a small museum of items they've collected through the years. But unlike some of his "fellow searchers," who consider personalized items they find "like a trophy in their collection," Geerings puts his knowledge of WWII to use to try to find the owners. And that often is more challenging than finding the artifacts themselves. "America is a big country and finding one person is really hard," Geerings says. Some collectors give up after a couple of weeks, he says. "For me, finding a personal item is just the beginning of the story." Geerings had no idea what he'd find when he embarked on a four-hour drive to the battlefield site. A map he found among a batch of WWII items he purchased on eBay a couple of years earlier led him to the site. "On this map, you could see the positions of Army troops that day. I compared it to present maps and found the location. It was near Tettingen, and soldiers called these woods "the Campholz Woods," he says. "About 100 meters back in the woods there was a large German trench from east to west crossing the entire forest," Geerings says. There also were a lot of empty bullet shells lying there, leading him to believe there was heavy fighting in that area. "The map also indicated the 90th division fought there." He searched veterans service records at the U.S. National Archives and Records Administration's website and found two Fasolkas. He, then, called Richards, historian for the 90th division, who helped him track down Fasolka and connect with his family. 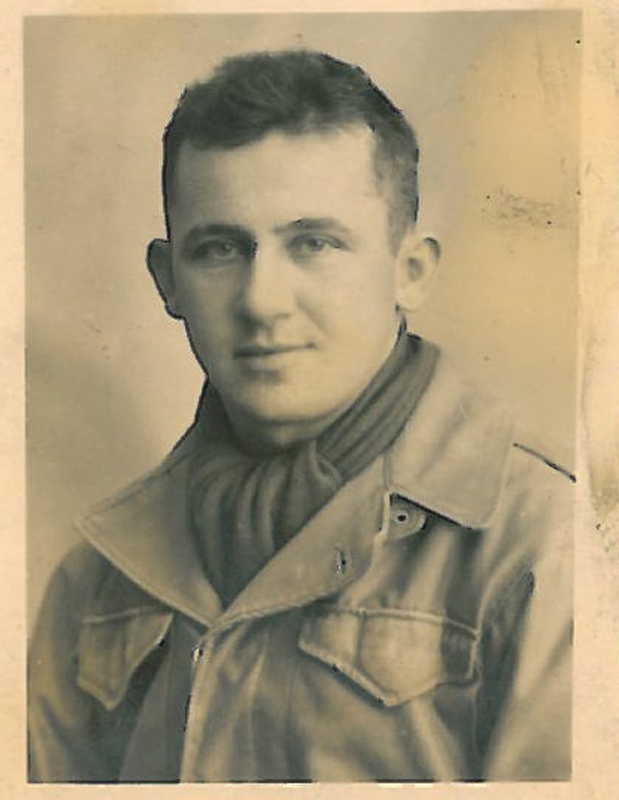 Geerings, an insurance salesman at a bank, has been studying WWII since he was a child. "My grandmother always told me stories about WWII and I wanted to know more," he says. "So I started to read books, especially of events that happened during WWII in my region. I also started to collect items. And when I got my driver's license at the age of 18, I went to visit the places I read about. "Some years later, I watched a program about WWII battlefields, and they did some research with a metal detector. I thought, 'I also should have this.' It wasn't long before I had my first metal detector: the Garrett Ace 250. "For me, finding a little thing, even an empty bullet shell — it gives me a special feeling. I feel like I'm bringing history back to life." The canteen is the fifth personal item Geerings has succeeded in returning to the families of soldiers. "But I still have some items here today. Searching for these soldiers or relatives takes a lot of time —years — but I won't stop until I find them," he says. He displays a photo of Fasolka's father and the other four soldiers with his WWII collection. A veteran himself, who served in Vietnam from 1965-1967, Fasolka says he and his father never really talked about either war. So he knows little about that part of his father's history. However, among his father's belongings passed on to him, the oldest of three sons, are a purple heart and a medal of honor. Geerings mailed the canteen to Fasolka after they had communicated by email. And when Fasolka opened the package and held the canteen in his hands, he says, "I was overcome. My eyes filled with tears." "It is also a bit emotional for me," says Geerings. "When I was 3 years old, I lost my dad. I never knew him, only from pictures. When someone finds something personal of him and returns it after so many years … For me it would be a gift from God. Why not give someone else this feeling?"